Saint Mary's Youth & Community Centre will have its annual Easter Camp from Tue. 23rd. April to Thur. 25th. April. <<Click Here>> for details. The overall winner of the best entry in Tullamore Saint Patrick's Day Parade 2019 went to the Action Group for the Arts Centre. This, and a large number of other awards, were presented to the winners at a special function on Friday night last. <<Click Here>> for photographs. The next available Baptism dates are Sat. 25th. May and Sun. 2nd. June in Tullamore. No Baptism in Durrow in June. The pre-baptism meeting for these dates is on Wed 15th. May. 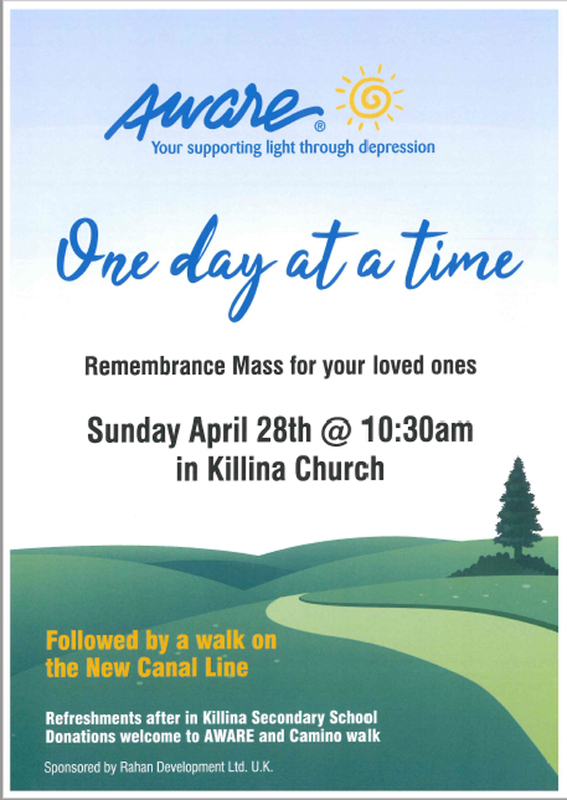 To book in for the meeting and baptisms, contact the Parish Secretary, at the Parish Office, Mon-Fri, 9:30 a.m. - 5:00 p.m.
C.N.G PILGRIMAGE TO KNOCK on Sat. 4th. May. To book, ph. A. Boland 0877914828. Mass Sun 28, Mucklagh Church, 3pm. Devotions begin 2.45pm. All are welcome. 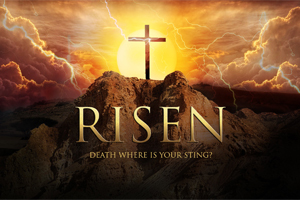 Easter is the most important catholic festival of the year. Rome is the centre of the catholic organisation. So Easter in Rome is a very special time for millions of catholics. The charismatic prayer group has moved to Parish Centre, our 'Life in the Spirit' will continue every Wed. at 7:45 pm. All welcome. July 2019 for 7 nights. Half board €719pps. Early booking offers on or before 18th Dec. Ph Pat Kidney 0863192399, P.J. Smyth 086879190, Luke McNamee 0879113118. A pilgrimage to Fatima will take pleace from Sept. 9th. - 16th. 2019 with Spiritual Director, Rev. Father Tony Gavin P.P. Tubber, Moate. For further details and booking contact Mrs. Anna Condron 090-6482228 or Rev. Father Tony Gavin 087-4136270.